Polyurethane components with high strength engineered in by design. 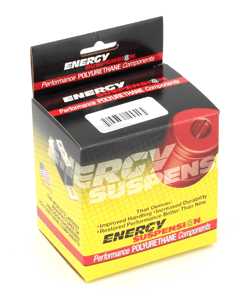 Made of Energy's HYPERFLEX performance polyurethane to add both performance and durability. Track arms, also known as panhard rods, are designed to enhance driver control and safety while cornering through several tasks: Keeping your suspension centered, reducing body roll, and increasing driver control. Now, even with the track arm installed your suspension can shift while you corner. The amount of shifting that occurs depends largely on the quality of bushings you have installed for your track arm. 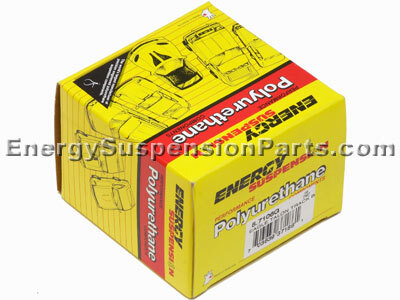 OE track arm bushings are most commonly made of soft rubber. Rubber, while able to absorb a great deal of vibrations from the road, simply flexes too much to be a decent material for track arm bushings. 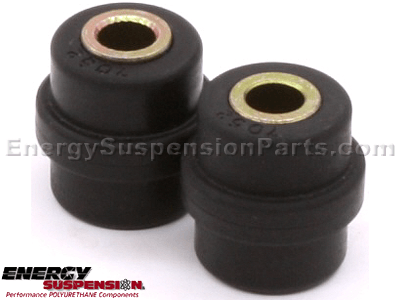 Energy Suspension makes all of their track arm bushings out of Hyperflex polyurethane, a material that not only offers better performance than rubber, it'll also last much longer. Capable of withstanding great amounts of heat, pressure, and road contamination, these Hyperflex bushings are guaranteed to outlast and outperform the OE. Now, due to polyurethane's firmer nature, there is a good chance that your NVH may increase slightly once these bushings are installed. But, the increase in your control and safety while cornering is well worth it. 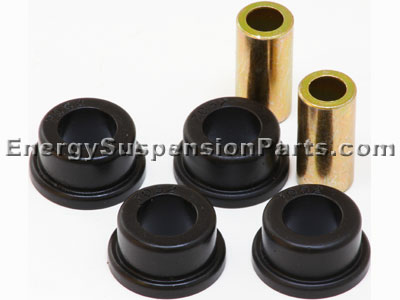 Plus, Energy Suspension covers all of their track arm bushings with a two-year warranty handled in-house here at DST.